Sometimes the perks of an internship are reason enough to say yes. Alexandra Hemphill, 21, worked as a box office intern at the Utah Festival of Opera and Musical Theatre this summer in Logan, Utah. The paid internship gave her a behind-the-scenes look and training of a professional theatre company, both in the box office and on stage. The world-renowned event is a five-week summer festival founded by accomplished operatic singer Michael Ballam in the city an hour north of Salt Lake City. Ballam is also a professor of music at Utah State University and has a unique position with The Church of Jesus Christ of Latter-day Saints as an at-large music missionary. The church plays a large role in the Logan community. She’s been so busy with theatre productions that she hasn’t had the opportunity to participate in one of the Opera Theatre productions at FSU. The Utah Festival of Opera helped fill that void. 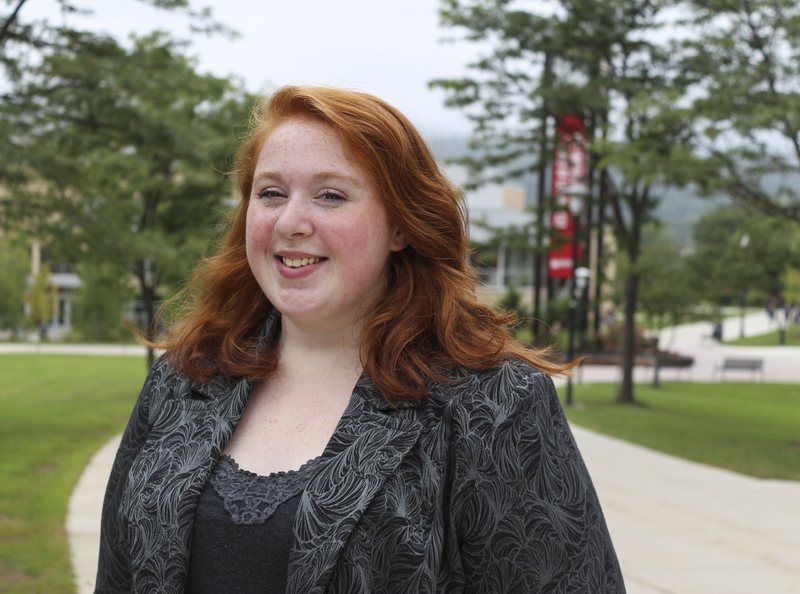 Hemphill received great career experience at the Utah Festival of Opera for both her major and minor. The graduate of the Barbara Ingram School for the Arts in Hagerstown is a theatre major in the acting track and is studying for a minor in marketing. As the box office intern, she learned specialized ticketing software, talked to advertisers and spoke to competition winners. She was considered a member of the theatre company during her internship, which also gave her free access to classes to learn about auditioning, finding a manager and other professional development classes. She also had opportunities to watch the top-notch productions of “The Hunchback of Notre Dame,” “Madama Butterfly” and Seussical,” the show she would be starring as Gertrude in this fall at FSU. “That also meant rubbing elbows with opera stars and hearing advice from Actors Equity members. The internship showed Hemphill that she’s on her way to following her dreams.